Pharmacological cyclin-dependent kinase inhibitors (CDKi) target a class of kinases (CDKs) that are critical mediators of cell cycle progression. Cell cycle deregulation is a hallmark of cancer, and CDKs have long been considered attractive targets for anti-cancer agents. After initial failures of pan-CDKi in clinical trials, two highly specific CDK4/6 inhibitors, palbociclib and ribociclib, are now FDA-approved in hormone receptor-positive breast cancer and an integral part of the treatment regimen. A third CDK4/6 inhibitor, abemaciclib, has also demonstrated promising clinical activity and has been granted break through status by the FDA. CDK4/6 inhibitors in combination with endocrine therapy significantly improve progression-free survival in patients with estrogen receptor-positive breast cancer. CDK1/2 inhibitors, such as dinaciclib, have also advanced to late-stage clinical trials but have yet to be FDA-approved in human cancers. Preclinical studies are beginning to shed light on inherent and acquired mechanisms of resistance to CDKi. Several cancer-relevant signaling pathways, such as the MAPK and PI3K pathways, drive cell cycle progression and contribute to CDK activity, suggesting that concomitant inhibition of these pathways may delay the outgrowth of CDKi-resistant cells. Mutation or deletion of RB1 is associated with inherent resistance to CDK4/6 inhibitors and may also play a role in acquired CDKi resistance. Similarly, amplification or overexpression of cyclin E1 may render cancer cells less dependent on CDK4/6. 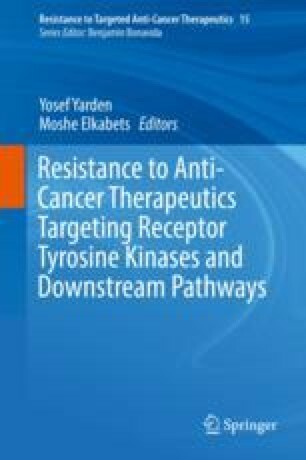 Ultimately, putative mechanisms of CDKi resistance will need to be validated by the analysis of clinical samples from CDKi-treated cancers. Harper KL, Sosa MS, Entenberg D, Hosseini H, Cheung JF, Nobre R, Avivar-Valderas A, Nagi C, Girnius N, Davis RJ, Farias EF, Condeelis J, Klein CA, Aguirre-Ghiso JA. Mechanism of early dissemination and metastasis in Her2+ mammary cancer. Nature. 2016. https://doi.org/10.1038/nature20609.